Originally from South Carolina, Cody grew up gay and Baptist in a conservative part of the country, sensing a call to ministry that he was unsure he'd ever be able to fulfill. 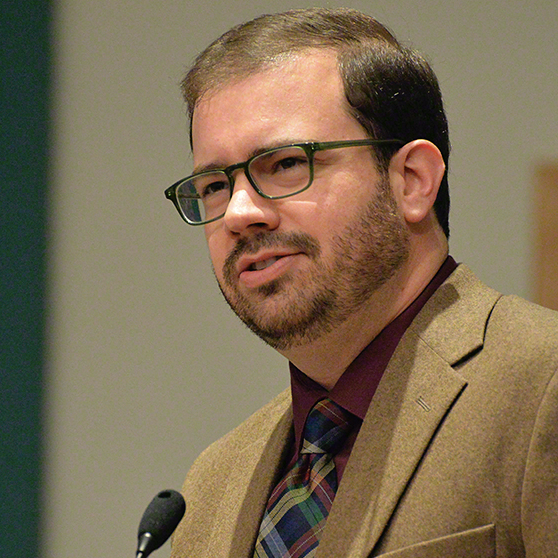 The pathway toward integrating sexuality, faith, and eventually ordination to ministry led Cody to Cambridge in 2015 where he serves as pastor to the Old Cambridge Baptist Church in Harvard Square, American Baptist Chaplain to Harvard University, and in the role of Special Advisor for the Chaplain to the Institute at MIT. In addition to his role as a Baptist minister, Cody's academic specialization is in the intersection of sexuality, gender identity, and religion. He earned the Ph.D. in pastoral theology and pastoral counseling from Brite Divinity School at TCU in Fort Worth, Texas, where his dissertation addressed the role of spiritual and religious narratives in the suicide experience of LGBTQ people and how they constructively reworked those narratives in the aftermath of surviving. He has published a number of articles and books addressing the intersection of religion and the embodiment of human difference, including A Brief Guide to Ministry with LGBTQIA Youth (Westminster John Knox, 2017). He counts it a privilege to help cultivate communities of affirmation where the religious, spiritual, and ethical lives of LGBTQ people can thrive and flourish.